Pocket Telemeter – Range Finder is now available on the AppStore for iPhone, iPad and iPod. Pocket Telemeter – Range Finder is an application that will let you calculate the distance between you and an object. 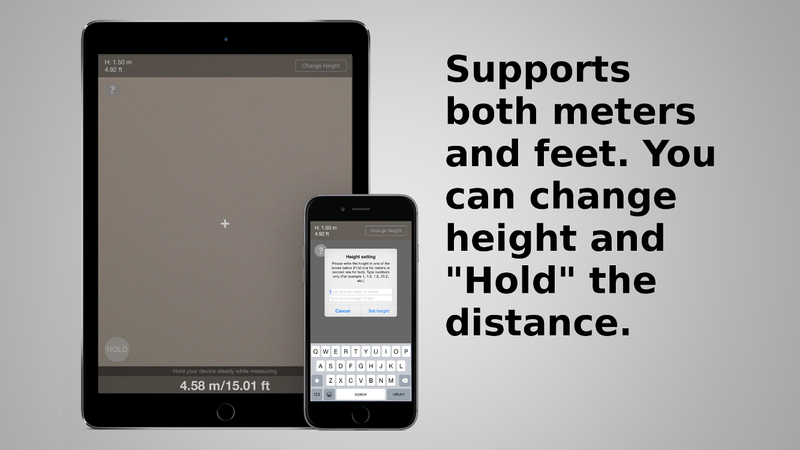 It is simple and quick to use, just type the height at which you hold your device, aim at the base of the object and you will get the distance. The application uses some mathematical formulas so the error percentage is very low and it supports both m. and ft. units of measurement. Also you can keep the current distance by pressing the hold button.